When picking out my eyeglasses online I always find picking a pair difficult. You can't try them on and you're gambling whether you'll like them. And though there is the option for a one-time refund it's still tricky picking a nice pair when you're getting prescription lenses with them. When I purchase my frames, I like something that stands out from the rest but that will also suit my face shape and style. This time I wanted something more versatile that challenges my style and could be easily worn with anything which led me to these classics with a twist. These are the Wind Aviator glasses * in Tortoiseshell from Glassesshop.com's own range of eyeglasses. 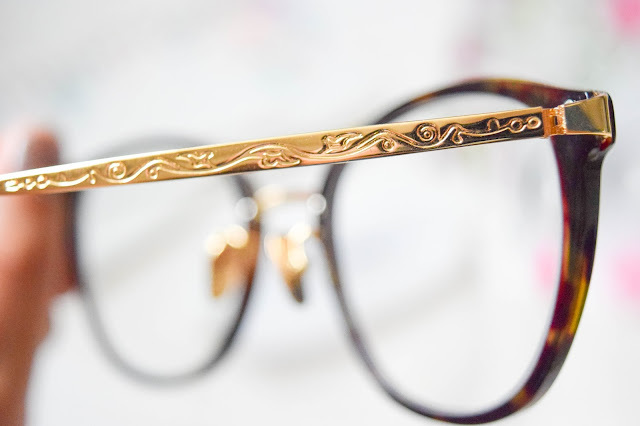 They are a tortoiseshell and gold pair of glasses with the most beautifully detailed temples in gold hardware. They're a twist - or a merge of your two classics in my eyes... The shape of your classic wayfarers with aviator's iconic top bar over the bridge of the frames. I loved the look of them, but when I put them on I wasn't 100% sure straight away. The quality of these is not to be faulted. They are made well and sit well on my face. The nose pads are metal which surprised me, but their comfort equally surprised me. I feel like I don't have to worry about them falling off at any point. 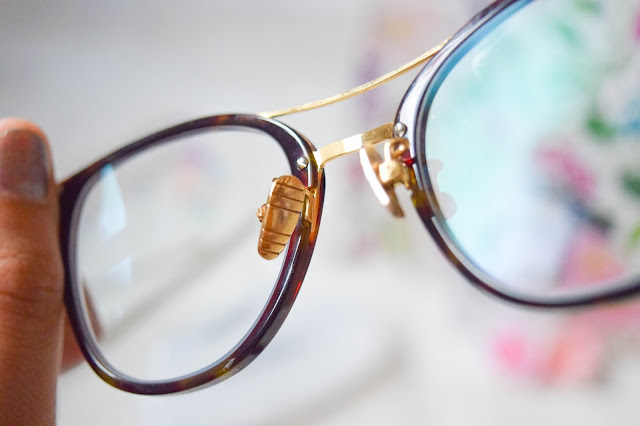 I usually go for all acrylic frames too but the design on the temples won me over a little bit turning this from a classic pair of glasses to ones with a little more personality. Overall I love the quality and look of these glasses but when I put them on they looked a little odd on me. Like they didn't suit me very well, but I think I know why. I've been wearing the same two pairs of glasses for the last 2 years. They've got thick acrylic frames and though I did have a pair of white ones (which are currently lost) I've not worn anything else since! So anything is going to look odd for the first time. 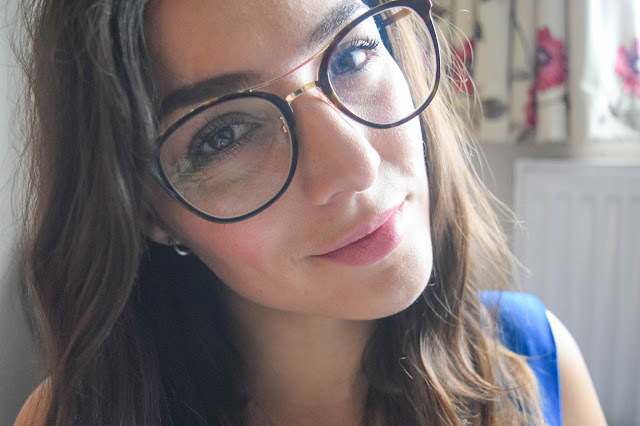 I decided instead of getting hung up on how odd I think I looked in them, I'd give them a go anyway and now they're the first pair I go for when I'm picking up a pair of glasses. They were the versatile pair I've been looking for. 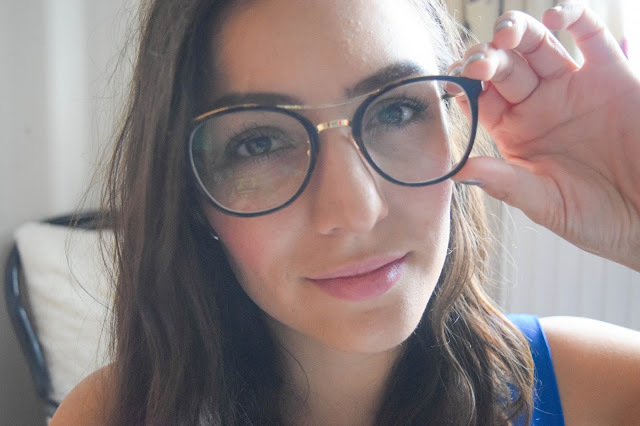 As for price, Glassesshop.com do provide some pretty affordable eyewear. 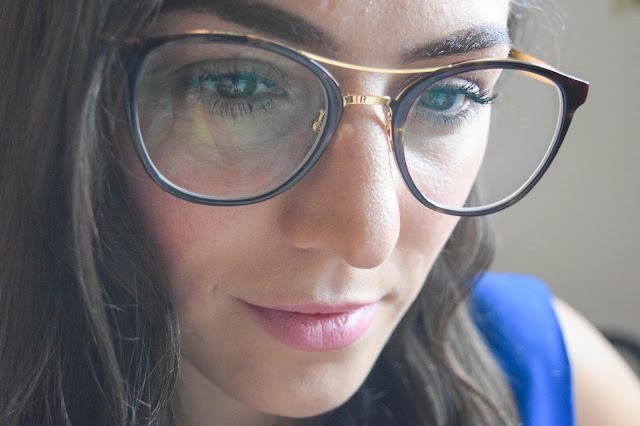 These frames cost $45.95 (equivilent of £34.74) which I think is pretty amazing for the quality and the fit of the frames. Single vision prescriptions are free with your frames which I think is a pretty awesome deal considering how much prescription lenses can be. 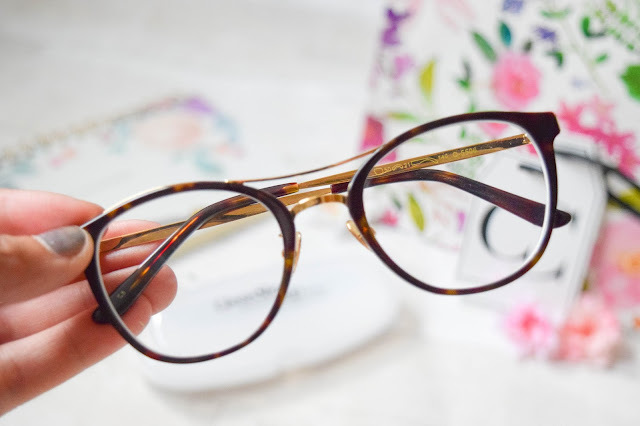 Of course there are additional costs if you need bi-focals as there always are, as well as for particular tints and additional coatings on your lenses dependent on what you're after. 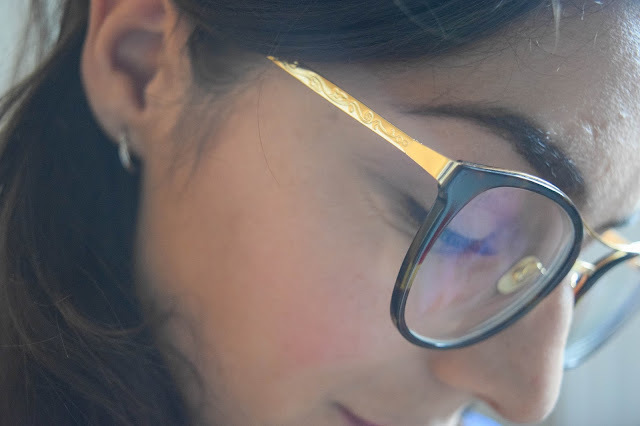 For me personally I'd get the anti-reflective and anti-scratch coatings next time because I'm a little clumsy with glasses and because I use them all day, everyday and glare is not fun. Coatings start from $19.95 (£15.07) for a standard package with I think is worth it really. These eyeglasses are pretty cheap compared to some places. 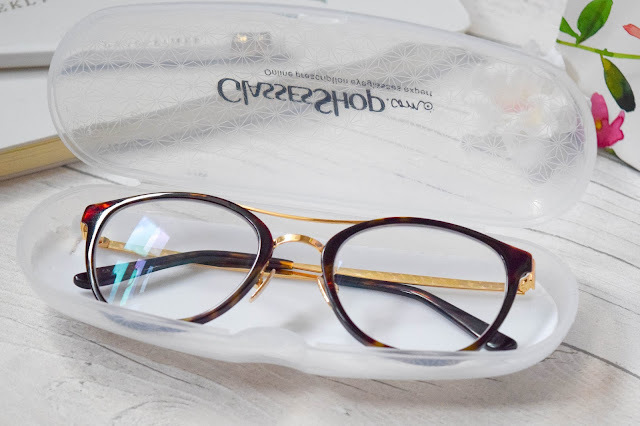 Overall these eyeglasses would of cost me a total of $65.80 (£49.71) if I had bought them with the special coating and for a pair of glasses of this quality, I think that's pretty cheap, especially since these are one of the more expensive frames on the website. Definitely cheaper than some high street opticians! Overall, I give these glasses and Glassesshop.com 2 thumbs up. 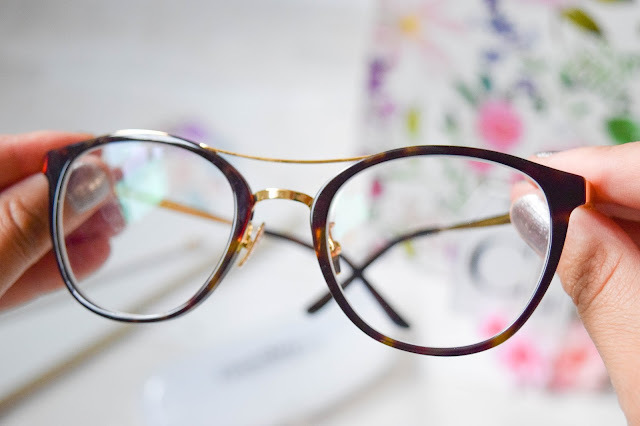 The frames are beautiful, there is such a variety of choice and the quality is pretty impressive for online eyewear. I think I might look into their prescription sunglasses next... They have some gorgeous styles on the website. 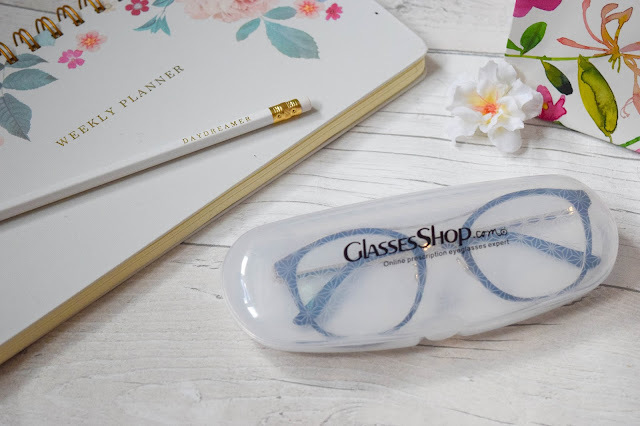 So, would you consider shopping Glassesshop.com? What about if I told you you could use the code: GSHOT50 to get 50% off frames with free lenses (excluding sale frames)? That would make these bad boys I'm wearing around $23 instead and some as cheap as $12.50! You're welcome in advance.